We are streaming more of our music with the newest albums having as many as 45 tracks. Where are we going? To some marginal thinking. Does anyone remember LP records? In 1980, the music industry was dominated by LP/EP. 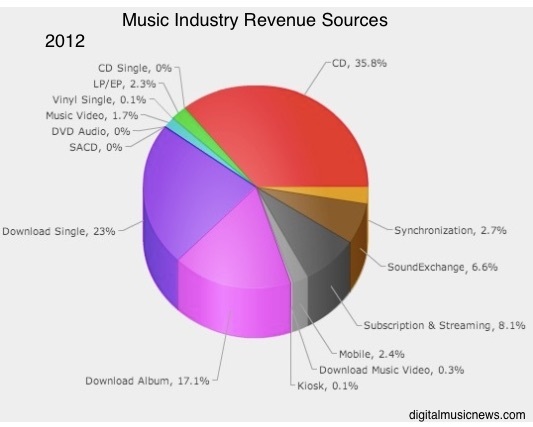 With LP standing for long play and EP, extended play vinyl records, both represented almost 60% of the revenue generated by different musical formats. Next, we had cassettes at 19.1%. 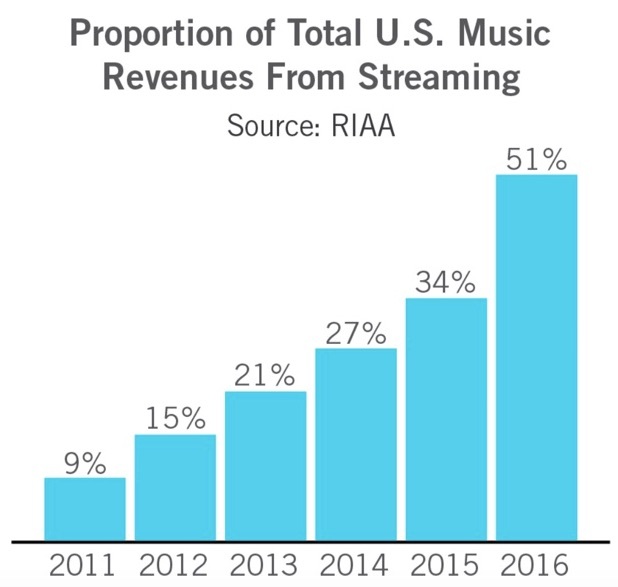 With streaming becoming increasingly dominant, the incentives in the industry have changed. Musicians have always coveted a higher ranking from Billboard. But now that they count streaming, Billboard has made downloads ever more crucial. This how The Washington Post explains their criteria: You can see that it’s the length that lets you “climb the charts” because longer albums maximize the chance for more downloads. Examples? Here I again quote The Washington Post since I know little about the 22 tracks in Drake’s “More Life” and the 20 in Ty Dolla $ign’s “Beach House 3.″ The “record” right now though goes to Chris Brown’s “Heartbreak on a Full Moon” with its 45 tracks. Thinking about extras, we should thank British economist Alfred Marshall (1842-1924) for his insight. Marshall was the first scholar to suggest we keep an eye on the margin if we truly want to understand supply and demand. Because the margin is where we decide if we want something extra, the cost of that extra item shapes our behavior. At the margin, sellers decide whether to produce something extra and consumers calculate the quantities they are willing and able to buy at different prices. Their decisions depend on the extra item’s marginal utility–its value at the margin. So, those extra tracks are no longer an artistic decision. As revenue generators, they have considerable marginal utility. My sources and more: Making yesterday’s walk a pleasure, Tim Harford’s More or Less podcast alerted me to the longer album phenomenon. From there, I discovered more facts in The Guardian and Forbes. But The Washington Post had the best article. Please note that sections of today’s post were published in past econlife blogs.